At this year's christmas campaign we are happy to announce and support the charitable and social projects Aktion Mensch, HILF!LOS! and the Mukisa Foundation with a donation of each 3600 €, 500 € and 500 €. Aktion Mensch supports people with handicaps, children and young people. 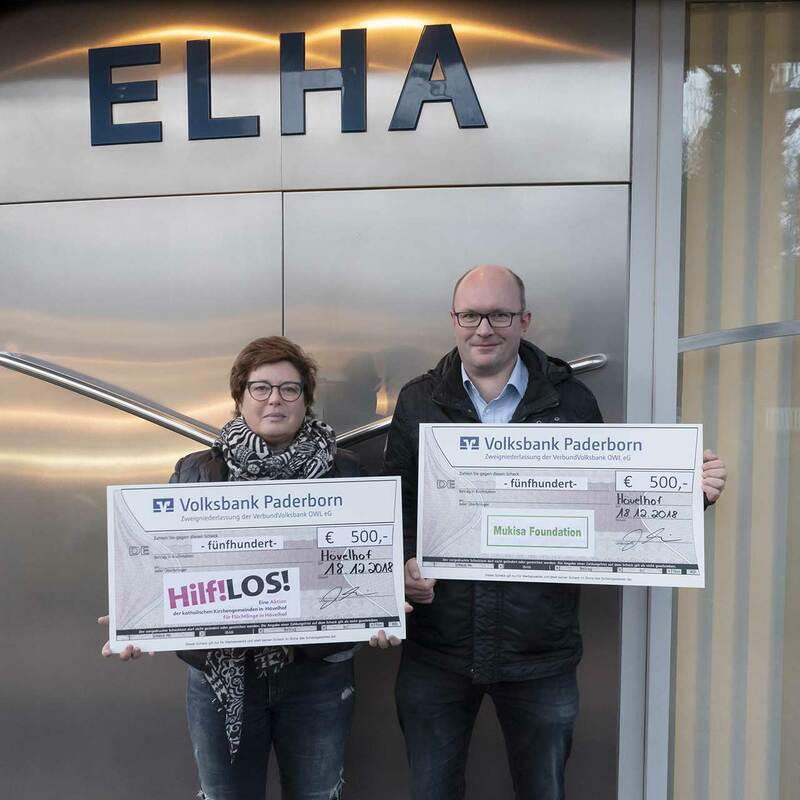 The target of this association is helping needy and distressed people in our hometown Hövelhof, neighbour city Steinhorst and the surrounding area. The Mukisa Foundation runs an early intervention and therapy centre for families with children with disabilities in Uganda.